cellar opening whilst the door is left open. 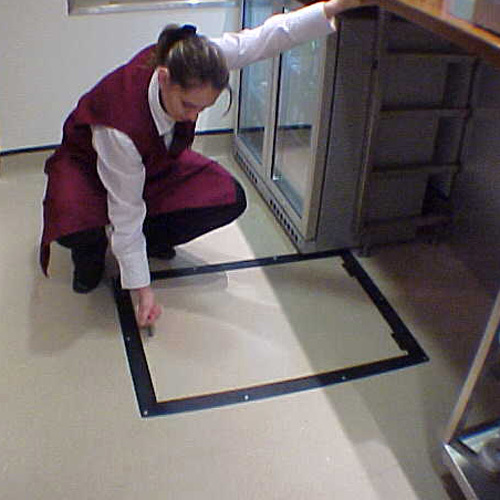 up to 15mm thick to match the surrounding floor. 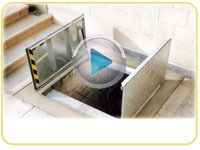 Designed individually and manufactured to combat "Cellar Falls" whilst an internal access hatch / trap door is left open. 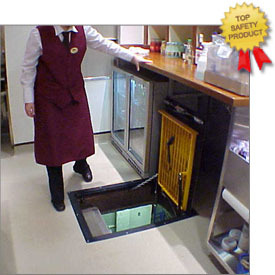 This style of cellar door is a favourite with HEALTH AND SAFETY officers! Previous claims from "Cellar Falls" have incurred frighteningly large settlements which have run in to multi-million pound region and seen company owner(s) and director(s) held personally responsible for legal action. Each doorset is custom made to your size and shape and can be fitted in about an hour before trading to minimize disruption. The steel self opening top door opens to a vertical position against a restraint chain when a tee handle is inserted and turned. 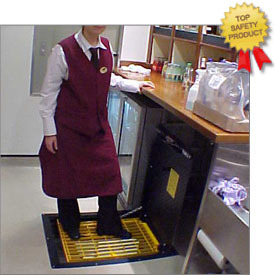 This reveals a bright yellow safety grille door immediately below, which safeguards the opening when ever the top door is left open. 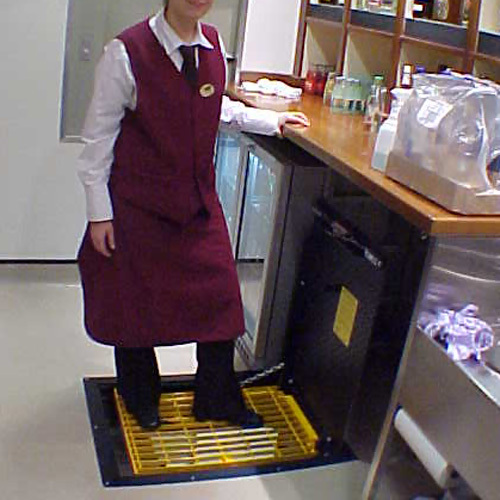 This safety grille is strong enough to stand and walk on. 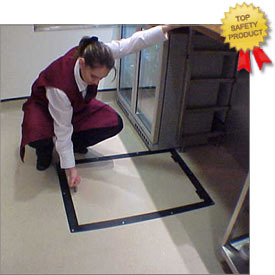 Lifting and lowering the safety grille door is easy as it has an assisted lift system and a damped fall to avoid injuries. 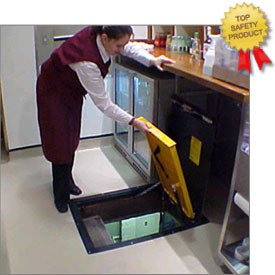 This system also has a delayed fall facility to help when carrying goods in to out of the cellar / basement. 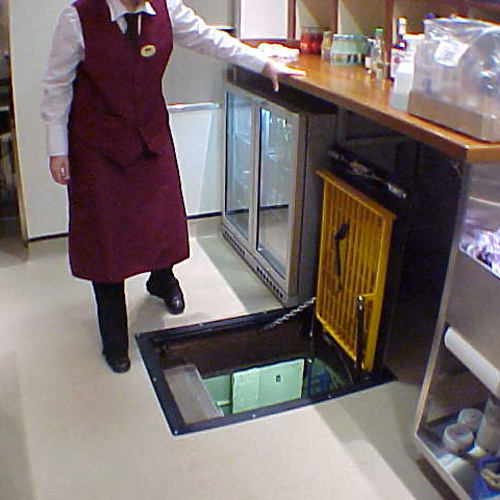 Once you have exited the cellar and the grille has returned to its horizontal rest position all that is required is to close and latch the top door. This top door is designed to accept matching floor of the surrounding area.